There had been a lot of rumors and leaks about the upcoming Nokia 9 for many months because it is one of the highly anticipated flagship phones by the company. All the Nokia fans have been anxiously waiting for this handset. The company was facing some sort of camera issues in the handset due to which HMD Global delayed the launch event that was previously scheduled for early December. The handset also got certified by Bluetooth SIG a few weeks back so it means that it is on its way to the market. 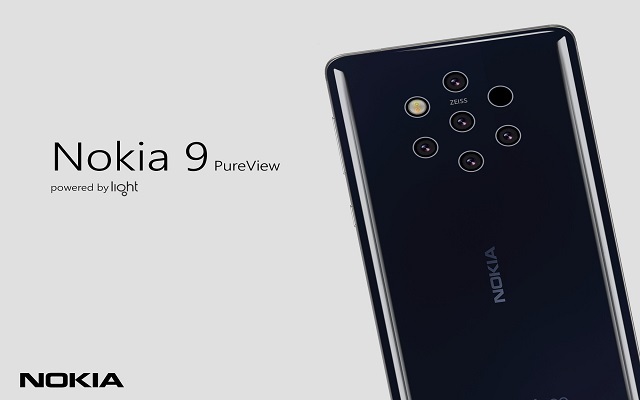 Recently, some sources have unveiled that Nokia 9 PureView Launch Event is scheduled for Late January 2019. 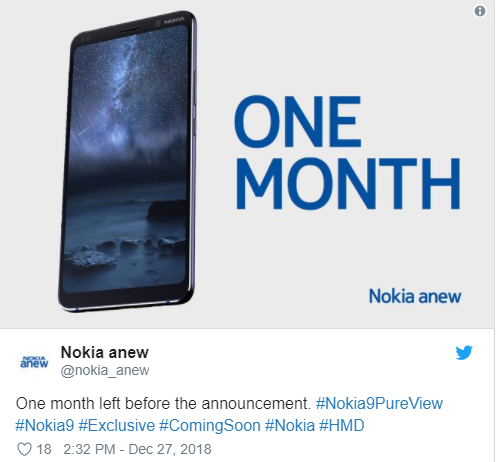 According to Nokia Anew’s sources, the launch event for Nokia 9 PureView is scheduled for late January 2019. However, there are still no official words by the company yet. Let’s see what comes next ahead of Nokia 9 Launch. According to the previous reports, the phone will have seven holes. Five will be for the cameras, one for the flash, and the last one will be for the optic sensor. In addition to that, there will also be a mic-hole just above the Penta-camera setup of this highly anticipated phone. A few weeks back, three versions of the phone with the model numbers TA-1082, TA-1087, and TA-1094 got certified by the Bluetooth SIG. This SIG certification is considered to be a prerequisite step for the launch of any new smartphone. So, it is expected that the phone will go official in early 2019. We are still in the domain of rumors regarding this handset. We have to wait for the official announcements to see how does the camera setup work, how good it is, what other features will the Nokia 9 PureView pack and how much money will HMD Global ask for it.